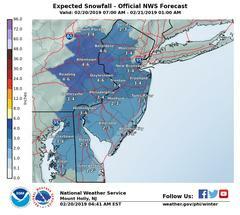 The National Weather Service is forecasting snow for us beginning mid-late morning. There could be some icing before the expected switchover to rain late this afternoon. Residents are encouraged to park off street to allow for more efficient plowing/salting operations. Give pedestrians a break.. clear your sidewalk. If you must be out on the road during the storm, please slow down and give plows room to do their job. We want everyone to arrive safely at their destination. 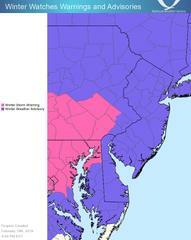 Today---Snow before 4pm, then sleet, possibly mixed with freezing rain. High near 33. Calm wind becoming east around 6 mph in the morning. Chance of precipitation is 90%. 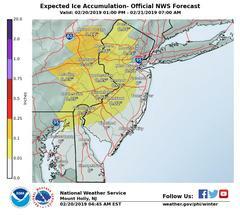 Little or no ice accumulation expected. 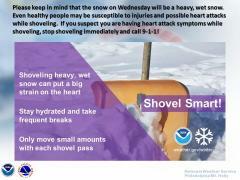 Total daytime snow and sleet accumulation of 2 to 4 inches possible.